Why is sports analytics rapidly becoming a high priority for several universities? Because they’re beginning to truly understand the significance of a winning athletic program. The value of a win speaks volumes and takes on different forms. It trickles down to the fans filling the stadium seats, television contracts, fan store merchandise, parking, concessions, donor and alumni philanthropy, enrollment, retention and school pride. Sports analytics is the key for athletic departments that are looking for creative ways to raise revenue (dynamic ticket pricing, for one) and lower expenses. Dr. David Schrader, a marketing and advanced development software engineering director for 24 years at Teradata and a popular national speaker on sports analytics. I recently interviewed Dr. David Schrader, a marketing and advanced development software engineering director for 24 years at Teradata. He’s also a popular national speaker on sports analytics. Dr. Schrader earned his PhD from Purdue and has developed curriculum for analytics programs, but his passion is bringing business faculty, the athletic departments and students together at campus sports analytics events. Who was your biggest influence in your career and why? Dr. Dave Schrader: My love of math was fostered by a great high school teacher, Ron Van Wyhe. I had the good luck to have him for three out of four math classes when growing up in Sterling, Illinois, and I was his teacher’s aide through Future Teachers of America. For sports analytics, I would say the inspiration was my sister, Kim. One day she called to ask if I could help an in-law’s son who was floundering at college. He wasn’t focused on his classes in computer science and stats, and I put together what I thought would be an interesting set of summer readings and exercises on sports analytics. That evolved into the talks I’ve been giving the last four years. Can you describe what the 360° view of the fan looks like? Schrader: Fans provide many clues about what they’re interested in, if you only pay attention to the data they create. You can capture information about customer activities like browsing websites, typing search keywords, purchasing tickets and merchandise, attending games, commenting on social media posts, and reacting to marketing promotions on various channels, such as billboards, emails, and social media. Put all the activity across all the channels in one place, and voila, you have the 360-degree view of the customer. You can then use that view to create smarter, more relevant marketing and sales campaigns, building predictive models, and making customized offers. Can you describe what the 360° view of the athlete looks like? Schrader: It’s the same idea, except that the sports industry is way behind typical businesses in terms of putting all the information about an athlete in one place. Because they use multiple vendors, data in the athletic department is typically in “cloud silos,” meaning that injury data is in one place, practice data in another, nutrition somewhere else, maybe sleep data, etc. So, if an athlete doesn’t play well, it’s almost impossible to backtrack and easily “see” what the contributing factors might have been because the correlations across these various data sets can’t be found. I’ve heard you mention your “Moneyball on Campus Days.” Can you describe what that day entails? Schrader: If we can make these events happen (which is no mean feat), there are three parts. The Moneyball Day usually starts with an early morning meeting for the Athletic Department. The idea is to educate them on what’s happening with analytics across a variety of sports, and to point out that there are students and faculty on their own campus who would love to do projects with the business office, coaches, and trainers. Often, I show what students at other schools have done, for example, improving the recruiting pipeline by building propensity models and scoring high school prospects for likelihood to accept that school’s scholarship offers. The second part of the day is a faculty lunch (pizza always helps drive attendance), where I educate the faculty on how their research could be adapted to study sports problems on their own campus. For example, a marketing faculty member and her class could easily do customer relationship management (CRM) projects for improving attendance, especially for non-revenue sports. An operations research faculty member could apply Weibull failure analytics used with machines or production lines to athletes – a capstone project that might help students get jobs with pro baseball teams. The third part of the Moneyball Day is a talk for a department, like the business school, or sometimes we open it up to the entire campus, where I provide an overview of all the analytics happening in team sports, as well as several capstone project examples. The students are always very enthusiastic after these talks (almost too much so), and I usually get a flurry of follow-up emails and LinkedIn messages, which I try to vector back to the faculty to make projects on campus happen. It’s fun to link up students with faculty, and faculty with the athletic department, but it’s not easy given that there’s usually no history of collaboration. What advice would you give students interested in pursuing a sports analytics career? Schrader: It’s not much different from the advice I would give students pursuing a business analytics career. I tell them to be curious. Do projects on your own, above and beyond what you’re assigned in class. Blog about interesting results. Maybe form a sports analytics club on campus. Read the interviews and content I have posted to the Teradata University Network. I also posted pointers to the Career Panel recordings of the MIT Sloan Sports Analytics conference on YouTube that are illuminating and provide good tips for students about how to get jobs. What are you reading right now, and who is your favorite author? Schrader: I’m actually re-reading two of my favorites –Take Your Eye Off the Ball 2.0 by Pat Kirwan, and The Signal and the Noise by Nate Silver. The first is a more in-depth view of football analytics, while the second is a good review of how to apply statistics to problems, and not necessarily sports examples. Because it’s basketball season, I’m also reading the two Stephen Shea books Basketball Analytics – Objective and Efficient Strategies for Understanding How Teams Win and Basketball Analytics – Spatial Tracking. It was interesting to learn more about Moneyball on Campus Days and the interaction between students, faculty and the athletic department. Schrader's views of the 360-degree fan and athlete provide a snapshot of what we're doing and where we're heading in higher education/sports analytics at SAS. To learn more about SAS sports analytics in higher education find out how the North Carolina Tar Heels play to win using SAS Analytics and how SAS and Samford have teamed up to generate sports analytics talent. You can also check out this blog post: The key to success in college sports? Analytics. Ron has over 35 years of coaching basketball at NCAA institutions. He has worked with and played under Hall of Fame coaches, amassed 426 wins as a head coach, and authored, Flex - The Total Offense. Also he has produced five basketball instructional DVDs. 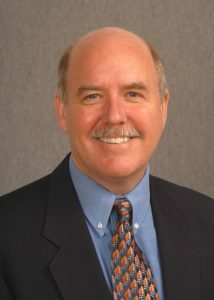 Ron holds a Masters Degree in Counseling Education from Lehigh University. Currently, he is a Senior Industry Consultant - Higher Education Athletic Analytics Education Practice.